Travel is my passion, but fashion is my business, actually. Taking a break from my wander tales, let me share the awesome(!) 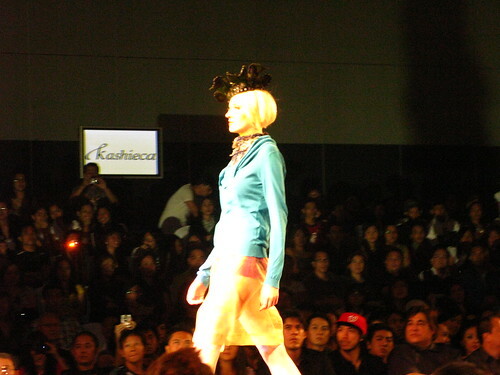 fashion show I attended yesterday, the Philippines Fashion Week Holiday ’09 featuring Bench, Kashieca, Human, and Bench Body. For info of those who doesn’t know, the 4 brands are under the ownership umbrella of Suyen Corporation, among other brands. It just turned out so well that the event is at SMX because the CS Manila Summer Scramble, a couchsurfing race event on the same day concluded in Mall of Asia. I was an organizer, not a race participant, so no, I was not pained and sweaty. Anyhow, I managed to changed into a fashionably chic outfit in my car, at the parking lot before meeting up with Girlie and Candie. We also run into June & Steven and happily sat together. 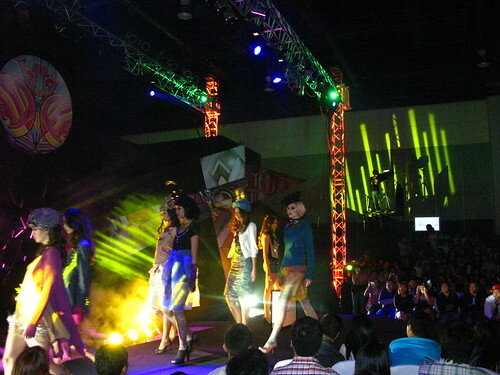 As SMX is a huge convention center with multiple halls and function rooms, there were several fashion events happening simultaneously. 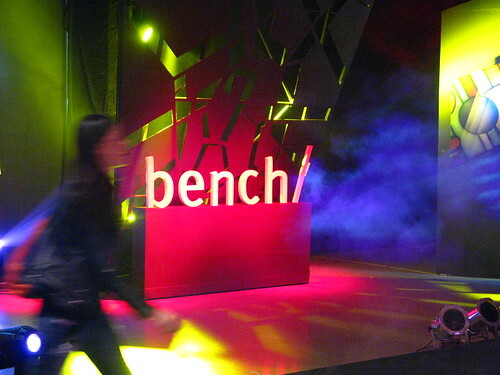 The Bench event is of course the highlight of the day. We saw plenty prominent industry figures, including SM’s Mr. Henry Sy and children, attending this event-to the end. The invite says 4:30pm so I reckon that is the time they open their door. When we got there at the said time, a queue was already formed and they were letting people in staggeringly, 20 at a time. 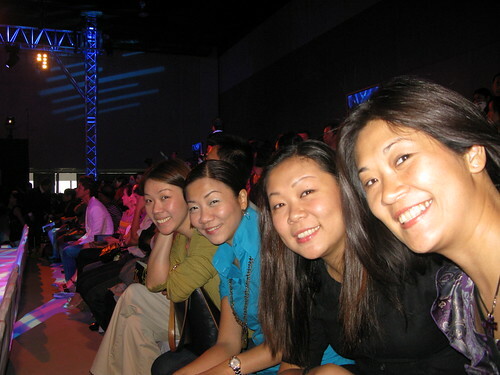 It was not so fun being all dressed up and waiting in line (supposedly the VIP lane) like hopeful fans waiting to get into the wow-wowee studio. I guess they’re managing it perhaps they gave away way more tickets than the number of seats inside. It was not the Araneta Coliseum after all. So finally we were let in and were able to get a relatively good seat. The show promptly began at 6pm and run for one hour. I know only because I made a mental note to check after. The production was fabulous!!! and one would hardly notice the time passing. It was a kaleidoscope of colors, clothes, patterns, gorgeous models, and right music. The presentation was organized into 3 segments, in the following order. 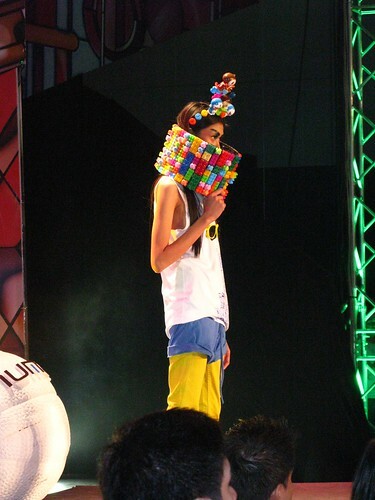 Jenny from the Block meets Harajuku girls. 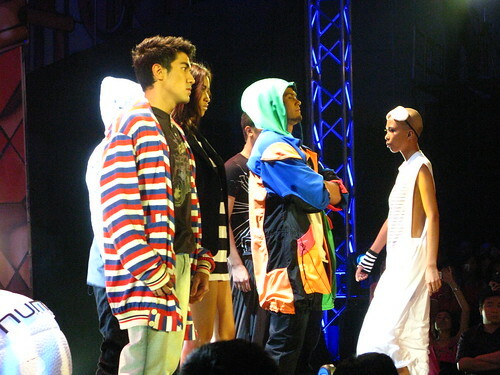 Showcase of Parisian style ju-jus. The collection is romantic and beautiful. oh la la! gorgeous meat market! London preppy look cooked by Pinoy Lab. Image model Piolo, but look whatelse i got: BEWARE OF CURVE! how can we get invites from this show for the upcoming pfw? You have some amazing photo captures. I enjoyed browsing through them.